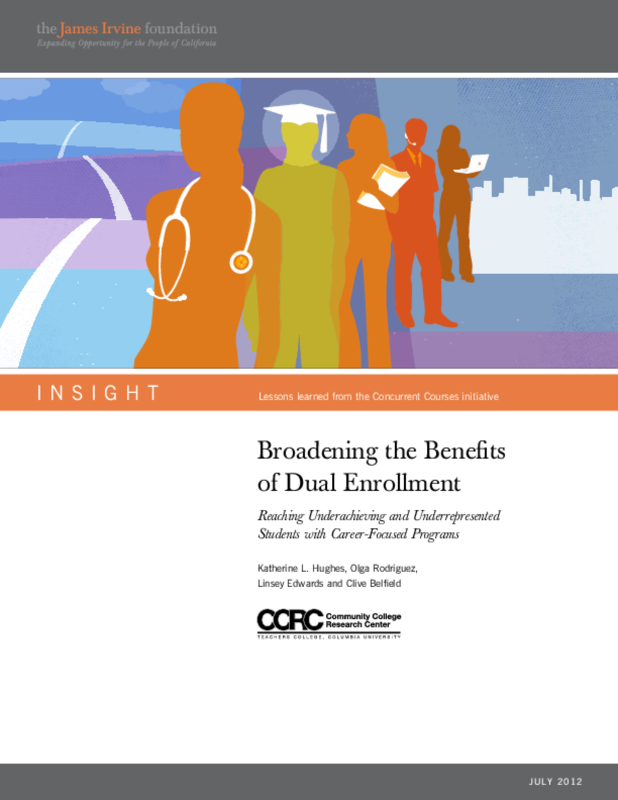 A three-year study tracking outcomes for thousands of students across California shows that careerfocused dual enrollment programs can provide important benefits for those who are underachieving and underrepresented in higher education. Programs of this type, which allow high school students to take college courses and earn college credit, were once offered almost exclusively to high-achieving students seeking greater academic challenge. Copyright 2012 The James Irvine Foundation. This edition may be reprinted or photocopied for free distribution, with attribution to the James Irvine Foundation.